For those of us who love messing about on boats, we normally have favourite stretches of waterway where we love to spend time. It might be navigating up and down the Thames, creek crawling along the south or east coasts or passage-making to places farther afield. But for the hundreds who spend their time afloat pottering about on the network of canals that still criss-cross the country, there’s a wonderful guide on the market that might help you explore some of the canals you’ve so far missed. 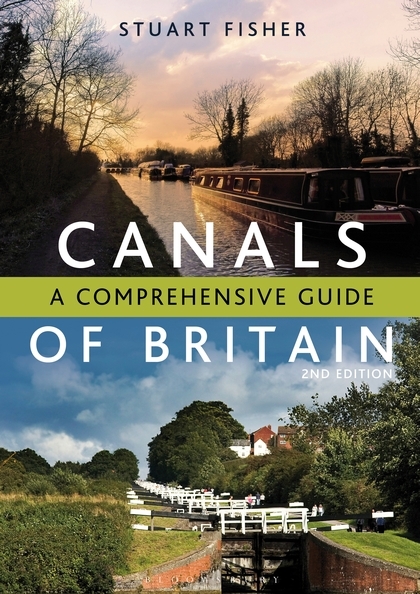 Written by Stuart Fisher, the book is called Canals of Britain, A Comprehensive Guide and it’s published by Adlard Coles Nautical. And comprehensive it certainly is. Fisher is editor of Canoeist Magazine and he’s been exploring Britain’s canals for many years, often by using a kayak, which has allowed him to explore abandoned or isolated navigations. So he brings a wealth of knowledge and experience to this second edition of the book. Richly illustrated, Canals of Britain provides a wonderful guide to the network and will be of interest not only to skippers but also to walkers, cyclists, holidaymakers and those interested in the industrial heritage that led to the construction of hundreds of miles of canals. During the middle part of the twentieth century, much of the canal network had been allowed to fall into disrepair and, initially at least, it was only thanks to the incredible ‘never-say-die’ attitude of hundreds of volunteer enthusiasts that restoration work started. More recently, considerable cash grants from the National Lottery Fund and other community grant organisations, has led to hundreds of miles of disused canal route being put back into usable condition – and that work continues up and down the country. The net result is that there are endless opportunities to enjoy the unhurried and leisurely pace of the canals while visiting some of the historic industrial sites that led to their original construction. Fisher documents the network from the Caledonian Canal in Scotland all the way down to the Grand Western Canal in Devon and the Royal Military Canal in Kent, The book is beautifully illustrated with colour photos and helpful maps showing where each canal runs and its 336 pages a crammed full of useful information about the history of each waterway. The book is available through all good bookshops or online. (ISBN 978-1-4081-8195-9).